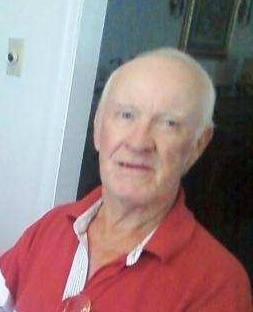 Funeral services for George Franklin Proctor, 76, of Windsor, SC will be held two o’clock p.m., Wednesday, March 27, 2019 in the Folk Funeral Home Chapel, Williston, SC with the Reverends David Richardson and Susan Collins officiating; burial will be in the Williston Cemetery. The family will receive friends one hour prior to the service at the funeral home on Wednesday. Mr. Proctor passed away on Monday, March 25, 2019. Born in Aiken County, SC, he was a son of the late Casey Jones Proctor, Sr. and Lillian Muns Proctor. He retired from Owens Corning as an operator after working 35 years. He loved animals, wood-working, and gardening. He lived an active lifestyle and enjoyed walking and fishing. Mr. Proctor loved spending time with his grandbabies and was very family oriented. Survivors include his wife of 57 years, Barbara Jean Nettles Proctor of the home; sons Larry Franklin (Gina) Proctor of North Augusta, Barry Proctor of Aiken; daughters Lisa Barwick of Windsor, Barbie (David) Richardson of Williston; grandchildren Casey (Jordan) Richardson, Rebecca Richardson, Michael Barwick, Brian (Allissa) Barwick, Josh Johnson and Amber Johnson; great grandchildren Gianna, Raelynn, Barrett, and Everleigh; a sister Carolyn (Billy) Watson of Macon, GA, two brothers, Casey Jones (Linda) Proct0r, Jr. and Walter Proctor both of Williston and numerous nieces and nephews. The family would like to thank Pruitt Home Health and Hospice and all of the caregivers for the kindness shown to them during his time of illness.